Needless to say, we quite often make mistakes by deleting all the photos which we think that we just don’t need any of them anymore. If you happen to accidentally deleted the pictures that stored on your camera’s memory card before you have a chance to transfer them to your PC, would you wish to know how can you get them back? Actually, you can find a variety of software program available online that able to recover the pictures that you accidentally deleted really captures the left more than data in your card and converts them back into pictures. There exists a option you happen to be able to uncover again a few or even all your digital pictures. Firstly: Don’t take any additional pictures with the memory card which you want to recover pictures from. When you are out of the house and only can recovering your pictures when you get back to your house, then you should take out the memory card from your digital camera and fit it in a safe place. If you still insist on taking photos by using the same memory card, it is a high probability that you not only lost the photos that you just shoot for, you may as well damage the memory card for your previous pictures recovery. Do a search online and you going to find some very good software programs that able to recover lost data, however most of them are not free and you will expect to pay for between $25 to $40. And now you are lucky enough by reading this post as I will recommend you a recovery program that I use for myself which is the software called PC Inspector Smart Recovery that can perform all the similar task but is free! 1. Download from the website for the PC Inspector Smart Recovery and install the software. 2. Insert your memory card, connect the camera to your PC. Under “My Computer”, figure out the drive letter displayed for your memory card (normally is E: or F:). – Choose the appropriate drive letter to recover your photo files. – Choose a folder on your PC to locate where you want your recovered files going to saved. 4. After that, click on the “Start” button and let PC Inspector Smarty Recovery auto run by itself. 5. Once the recovery job is compete, check on the folder in which you choose for your recovered files and get all the photos that successfully recover. PC Inspector Smart Recovery sometime can consume a lot of time for it to complete running and recovering depending on your memory card size. However, you are well worth to wait for the time as you may get a good recovery results. We were able to resurrect 100% of the photos that were accidentally deleted from a 1 GB memory card, and the reviews on Smart Recovery?¡¥s website are a testament to similar results in many other like situations. If you are an amateur photographer and start learning on how to sharpen up you photo shooting skill, do you have a problem when come to choose on which digital camera that is most suit your photo shooting? Many beginners have problem on choosing the right camera for them. Majority has no idea on which camera they should buy and some have budget constraint and can’t afford to purchase the fancy and expensive digital camera. So, what you think is the best price digital camera for you to own as an amateur photograher? Which One is the Cheap Yet Quality Digital Camera? What I can recommend is the Panasonic G1 is a very good camera, as well as the Canon EOS 450D. Some other models such as Nikon, Olympus, Sony and Pentax also can provides you with ideal price yet allows you to shoot for high quality images. However, they are all different in design and feature provided. Different brand and model having their own weaknesses and strengths, and another may be better for other things while some can be best for some things. Different photographer has different requirement as well, one camera that this photographer relish does not mean that it will fits in the other photographer hand. In order to get on idea on which camera that meet your requirement, you can start to gather information on which camera might be the best digital camera that suit your needs by going to a digital camera shop and do some test on the digital camera that you think can suit you. If one particular digital camera that you hold in your hand and have a comfortably feel, then you can proceed to sense for next thing. The next thing is you can try to test the digital camera on whether it is easy for you to reach the controls and buttons with your fingers. If most of the features and functions that you need are available on that particular digital camera, you can start checking on the price. If the price is too expensive, you can make a comparison by visiting few digital camera shops, asking for the offering price, see any discount they offers, any additional accessories that come together with the digital camera that you want to purchase, asking the shop owner on all the questions but don’t show too interest on the camera yet. If the shop owner found out you are desperate for the camera, then you will found yourself having no room to bargain with them. Thus, you will not able to get the best price digital camera for yourself. So, be sure to ask for discount as much as possible in order to make a bargain deal for your purchase. Overall, if camera size is really mean to you, and you prefer to have a comfortable hold of the digital camera, what I can recommend is you should go to the Panasonic G1. Even though the Panasonic G1 might be a bit harder to shoot for fast moving subjects since it lacks of optical viewfinder. If a good optical viewfinder is important for you, you may otherwise consider on some Olympus models, which have true DSLRs and are considered fairly small with optical viewfinders. How Do I Upload Pictures From A Panasonic Lumix Camera On My Computer? 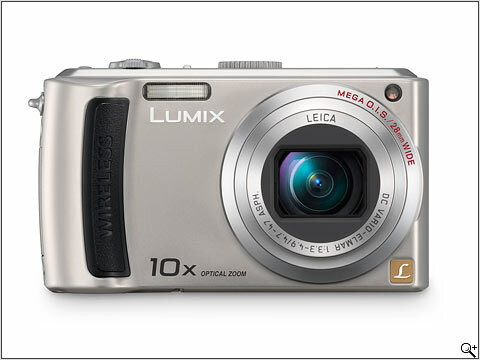 I bought my granddaughter a Panasonic LUMIX TZ50 but, we can not upload the pictures on my computer. We have used the usb cable but the computer will not recognize it. If you’re anything like TechDad Central, you have way too many cables lying around the house … and you can never find the one you need when you need it. This cabling conundrum has always been one of my biggest complaints in dealing with digital photography. I’m always searching for the connection cable to upload the pics from the camera. I usually get frustrated and just leave them on the camera until the media card gets full and then finally spend the time cable-searching. acquire” mode to get my hands on it. What exactly was a “wireless” digital camera and would this be my cabling panacea? But that’s not why it makes TechDad Central’s “must have” list. It’s all about the wireless! This camera includes an easy to set-up WiFi capability along with a free year’s subscription to connect via T-Mobile hotspots (that’s right …1 year for FREE). In practical terms this means that in my home or office, I simply upload my photos via the wireless network. I don’t even need to be near a computer to move the photos. On the road, any time I’m within the range of a T-Mobile hotspot I can upload the photos wirelessly straight from the camera. The pics get uploaded directly to my Picasa Web Albums account and from there I can edit, catalog and distribute the photos to my heart’s content. So no more cable safaris either at home or on the road … and one less cable for me to lose. When you search for expired domain name, you may find it very relevant to carry out a thorough research to gather more detail information on the expired domain that you are interested in. There are many factors that you must consider and evaluate, before come to a decision to purchase the expired domain name. When you buy expired domain name, you are dealing with a third party and the registrar in the trading process. Therefore, you have to be heed on how you are carrying out the process of purchasing the expired domain. Expert people buy expired domain name after spending enough time to dig out enough information to evaluate the benefits that they will get by buying such domain. a) Is the domain name really worth to buy? b) What is you budget for buying of such expired domain name? c) How quickly you wish the transaction to be complete? For instant, let say you are in the domain name trading business. Since you been in the business for couple of years, you already have enough experience of running this business. With your own personal experience, the likelihood of looking for a simple, but powerful domain name is quite difficult. Thus, you are keen to find for domain name which is really ‘click’ and you always keep aside a portion of your income for buying a good domain name. So, now you have the names in your list, then you starting choosing for the best name which is suited your business need. Then you are able to buy the expired domain name of your choice. To have this delicate task carry out, you will need to inspect the exact use for which you are looking the name for. You can check each of the above names by entering the URL’s on the address bar of the Internet Explorer or Firefox browser and check if any of them has an association with similar sites. a) The findings are related to your domain names and there are actually related with some of the web sites found on the search engine. In this case, you may find it very hard to get the right expired domain name. b) The searched list keeps point to “Domain for Sale” page: Although this scenario can have a lot of opportunities, it can still be a huge challenge for you. You can purchase expired domain name that is really good for your business. c) The searched material contains ancient and out dated materials. Some of the found domains may display unrelated or broken links, or other sundry notices. Your chances of looking for a good expired domain name will turn to be easier. d) The search is related to your probable domain names, but these web domains do not use a primary URL. Under such circumstances, although it is quite difficult to get your desired expire domain, but you still can get one that can suit your business. e) The searched domain names relate to your list, but most of the searched domains link to one or more affiliate programs. Under such circumstances, you may rather sourcing an expired domain name. Nevertheless, make sure that you will not purchase expired domain name that mimics a famous web portal. If you buy such expired domain names, you may put yourself in deep legal and copyright trouble.